Dr. Magill and Dr. Sedwick treat all cosmetic and functional aspects of the nose, and also are highly experienced and expertly trained in surgical procedures to restore sinus health and function. The function of the nose and sinus are intimately related, and when an individual is suffering from lack of good nasal airflow or recurrent difficulties with sinus congestion or infection, it can greatly impact their quality of life. Many patients with recurrent sinus infections miss days of work and have symptoms that impact their daily activities. Similarly, when the nose is blocked by a deviation in the nasal septum, large turbinates, collapse of the nostrils when breathing, or other structural problems, it can be difficult to get a good night’s sleep, exercise efficiently, or to battle common cold, infections or allergies without feeling severe nasal symptoms. We are able to address all of your nasal and sinus concerns, including cosmetic and functional rhinoplasty (nose surgery), treatment of nasal trauma and reconstruction, nasal obstruction, sinus surgery and more. View our gallery for patient before and after photos. Rhinoplasty, or surgery to reshape the nose, can reduce or increase the size of your nose, change the shape of the tip or the bridge, narrow the span of the nostrils, or change the angle between your nose and your upper lip. It may also correct a birth defect or injury, or help relieve some breathing problems. Rhinoplasty can enhance your appearance and your self-confidence, but it won’t necessarily match your ideal, or cause other people to treat you differently. Before you decide to have surgery, think carefully about your expectations and discuss them with Dr. Sedwick and Dr. Magill. Our computer video imager can be used to detail likely post-operative results. 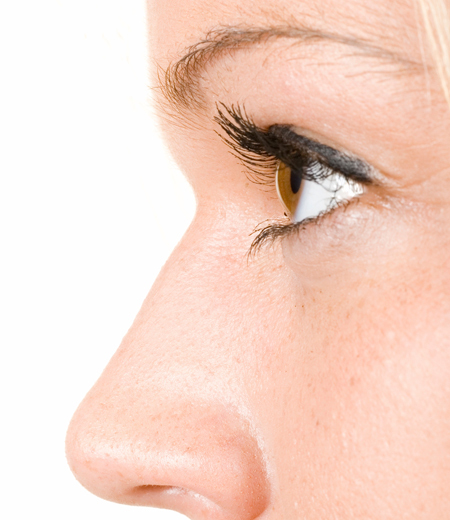 Age may be considered in assessing whether you are a candidate for rhinoplasty. Many surgeons prefer not to operate on teenagers until after they’ve completed their growth spurt – around 14 or 15 for girls, a bit later for boys. It’s important to consider teenagers’ social and emotional adjustment, too, and to make sure it’s what they, and not their parents, really want. The appearance of the nose is paramount to facial appearance and identity and self confidence. When the nose has been injured or has been damaged from cancer or trauma, nasal reconstruction is necessary and of utmost importance. Dr. Sedwick and Dr. Magill are able to treat all aspects of nasal injury and perform a variety of procedures to restore nasal function and appearance. We offer a range of services to treat nasal obstruction, including surgery and medical therapy. We may also recommend behavioral changes to help alleviate nasal obstruction, such as avoiding environmental triggers. We are committed to providing you exceptional care and keeping you informed about all your treatment options. The sinuses have a natural ability to “clean” themselves with a process known as mucociliary clearance. Using mucociliary clearance, the sinuses are able to keep themselves sterile. When this process is interrupted by infection, or disease, the sinuses occasionally require surgery to restore function and allow delivery of medications. Sinus surgery is used to reopen the sinus pathways and restore drainage. “Balloon sinuplasty” is a specific sinus surgery technique that is used in some patients. View the following video to learn more about this procedure. If directed by our staff, please complete the Sino-Nasal Outcome Test. This questionnaire is intended to help define your symptoms and provide valuable information to your doctor. Download, complete and bring the questionnaire in to your appointment. We are pleased to offer a unique treatment solution for adults with these frustrating chronic rhinitis symptoms. Using the patented ClariFix® cryotherapy device, we are able to go to the source of the problem, the inflamed nasal lining and out of balance nerves in the nose. Plus, there is minimal downtime, with most patients returning to normal activities the same day. Ready to say goodbye to the tissue box? Contact us today to see if ClariFix® is right for you.